Greetings, dear readers, and happy Sunday! I hope this post finds you well and you've had a wonderful weekend! I know it's been very quiet here on my blog for the past week as my illness took a turn for the worst. I ended up setting the computer aside completely and did nothing but rest and stay in bed the entire week with very few exceptions. I knew I was sick, but I didn't realize just how much I was until I slept the entire day away and still needed more sleep at night. Thankfully, I am finally better and just about up to my normal healthy self! I have a lot I want to share with you over the upcoming week, and I just had to get a post up today after being gone for what feels like so long! Let's jump in! 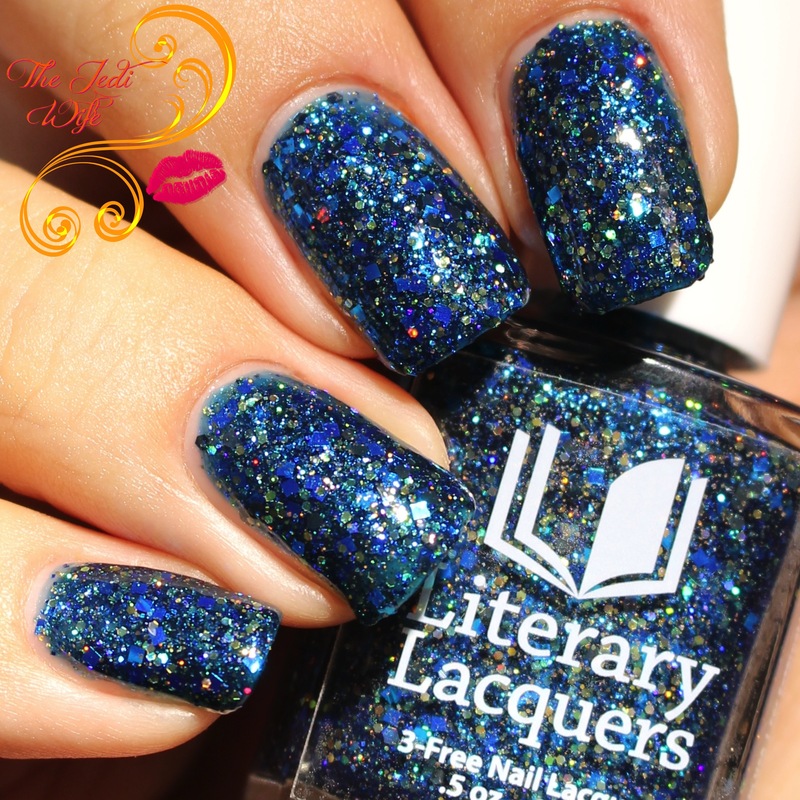 With February racing to an end and March upon us, it is time to prepare for the upcoming Literary LacquersPop Up shop! 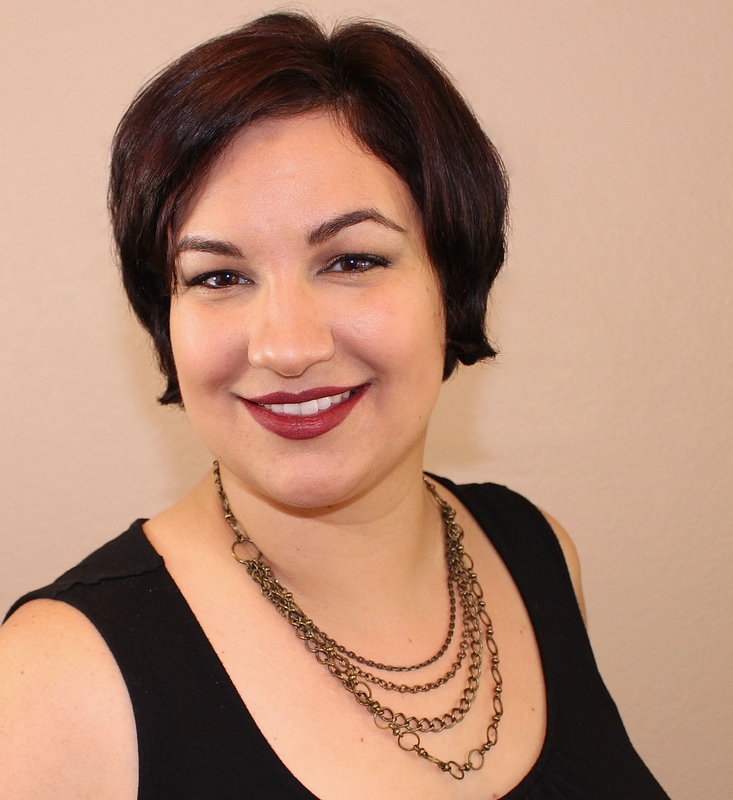 If you may not be aware, Amy, the creative mastermind behind the brand, has changed her store model and is open the first weekend of the month only and offering select new and returning shades for preorder. March's offerings are about all things magical with one new shade, a revised version of an older shade, and four old favorites. Let's check them out! 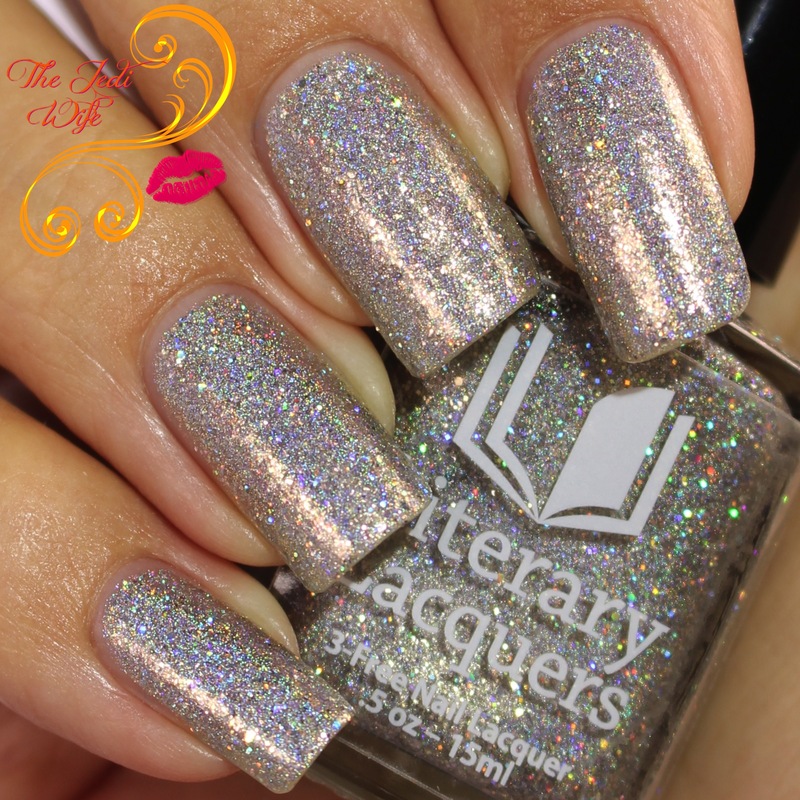 New to the Literary Lacquers lineup, Amortentia was created with a fan for her geeky wedding last year and inspired by the Happy Potter love potion of the same name. While I'm not sure how I feel about this specific colour on me, it's easy to see how anyone can fall in love with this gorgeous colour! 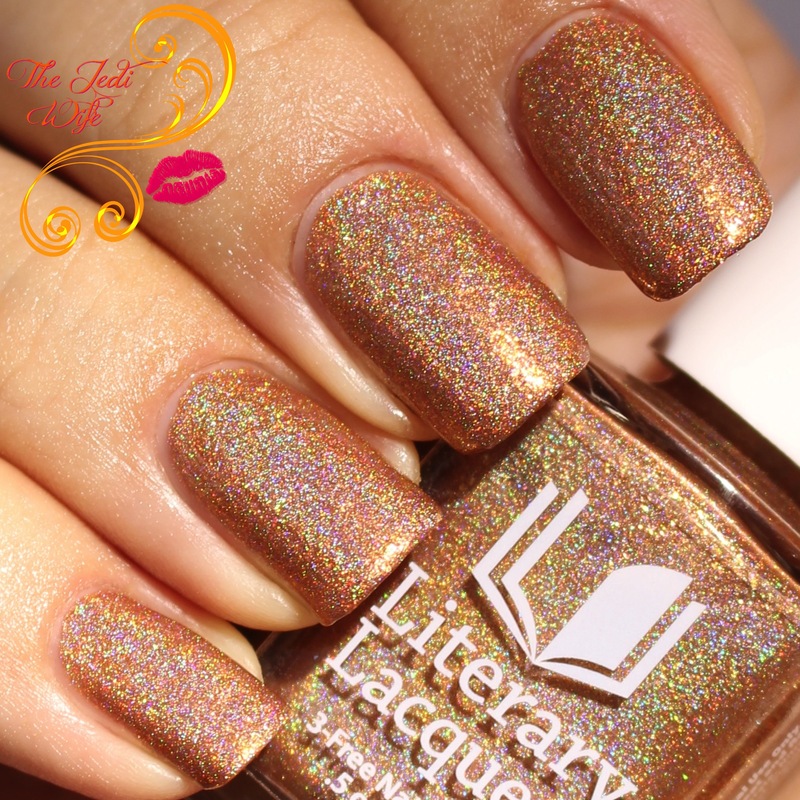 It certainly captivated my attention once I saw the bottle and has quickly become one of my favorite Literary Lacquers shades. The formula is so fantasticly smooth as well and applied like a dream come true. 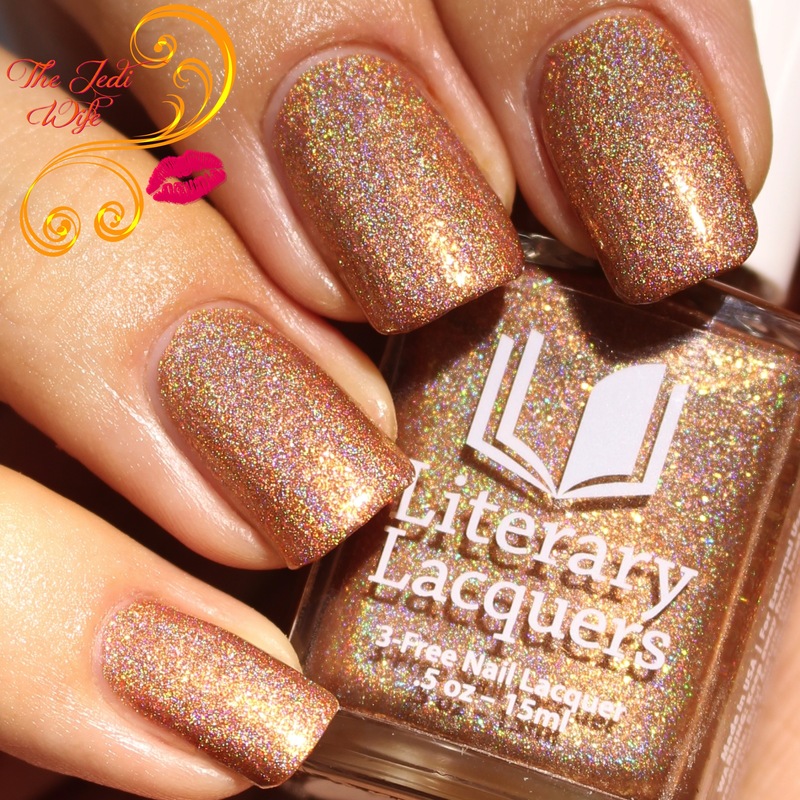 I'm thrilled to see this polish added to the Literary Lacquers Library, and if you're on the hunt for the perfect rose gold polish, I strongly encourage you to pcik up this beauty! 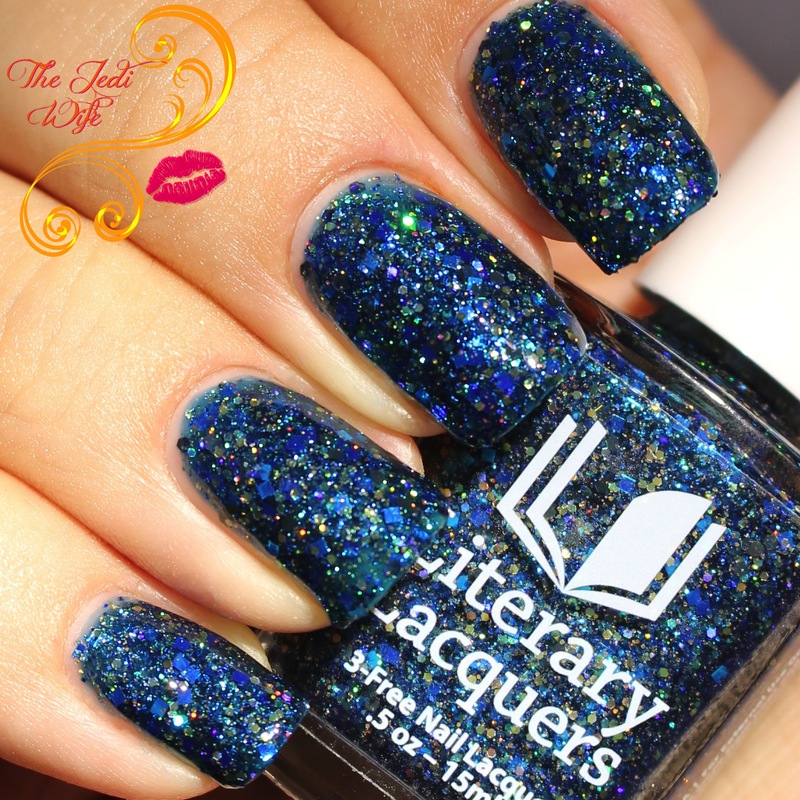 The original is pretty, but you can see how Literary Lacquers has grown in complexity and extra depth over the past several years! As for the newer polish, the formula is a little trickier to work with as it is densely packed with glitters, but it is still workable with a little extra patience. I spoke with Amy about my bottle and mine is a little thicker than it's supposed to be so buyer's bottles should be much easier to work with. Because it is packed with glitters, there is a textured feeling on the nails that can easily be remedied with Gelous and top coat. I do recommend using a peelable base coat for easy removal. Alternately, you can choose to layer this over a similar base shade for a less glitter-packed look. However you choose to wear it, you're sure to feel like you're staring up at a starlit sky. 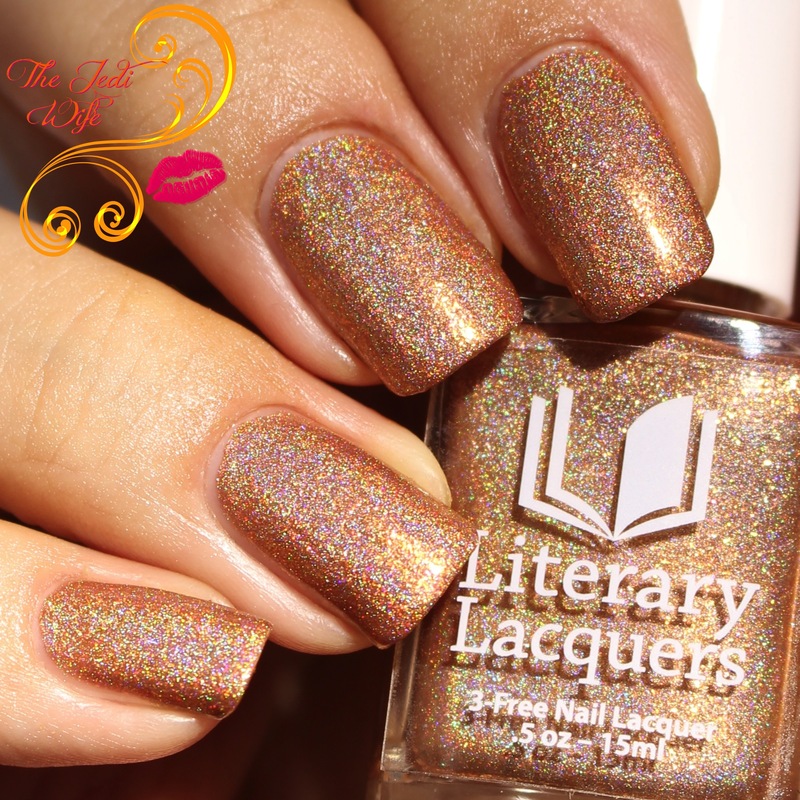 In addition to these two shades, Literary Lacquers is releasing four previously-released polishes for Magical March. Lilac linear holo with glass flecks and flakies inspired by the Terry Pratchett Discworld series. Black matte base packed with gold and green glitter inspired by the Harry Potter series. Liquid gold flakies and glass flecks inspired by the Harry Potter series. Silver linear mega glitter holo inspired by the Lord of the Rings. 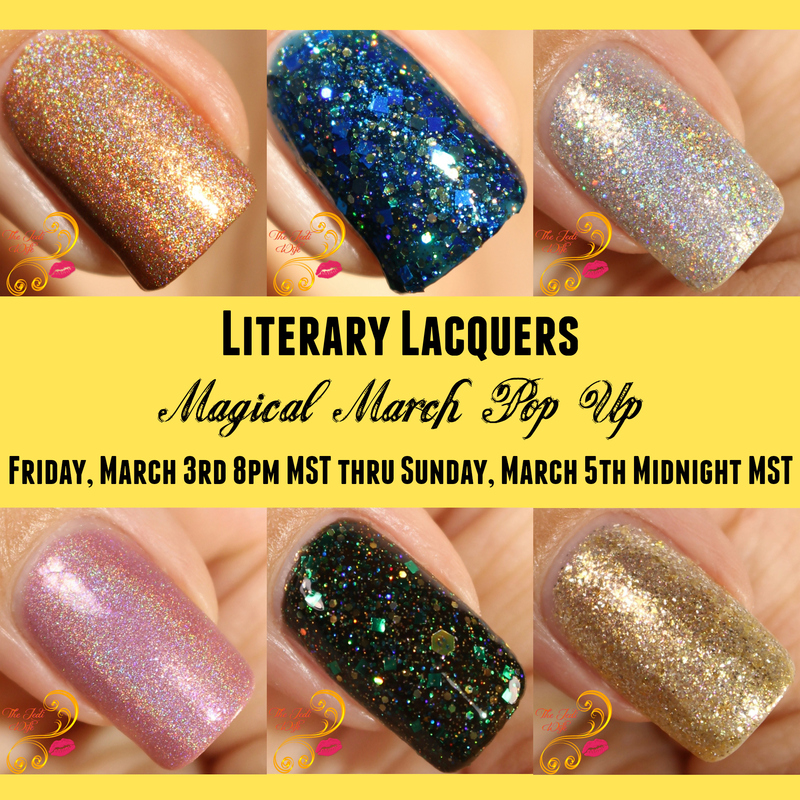 The Magical March Literary Lacquers Pop Up will open Friday, March 3rd at 8pm MST and stay open until Sunday, March 5th at midnight MST. Polishes will be restocked throughout the weekend as they sell out, so as long as you plan to order within the alloted time window, your desired colours from this selection will be available for purchase! Please note that this is a pre-order, and polishes are anticipated to ship out within three weeks of the pop up closing. Also, while they are not considered limited edition shades, there is no current plan to restock these beauties beyond the Pop Up opening over the weekend. Do you have a favorite shade from the Magical March offerings? I know I'm having a hard time picking a single favorite! I'd love to hear which ones are on your must have list! Felix and Mirror are really beautiful. I can never get enough of gold and silver! Ooooh I might just need all of these in my life. 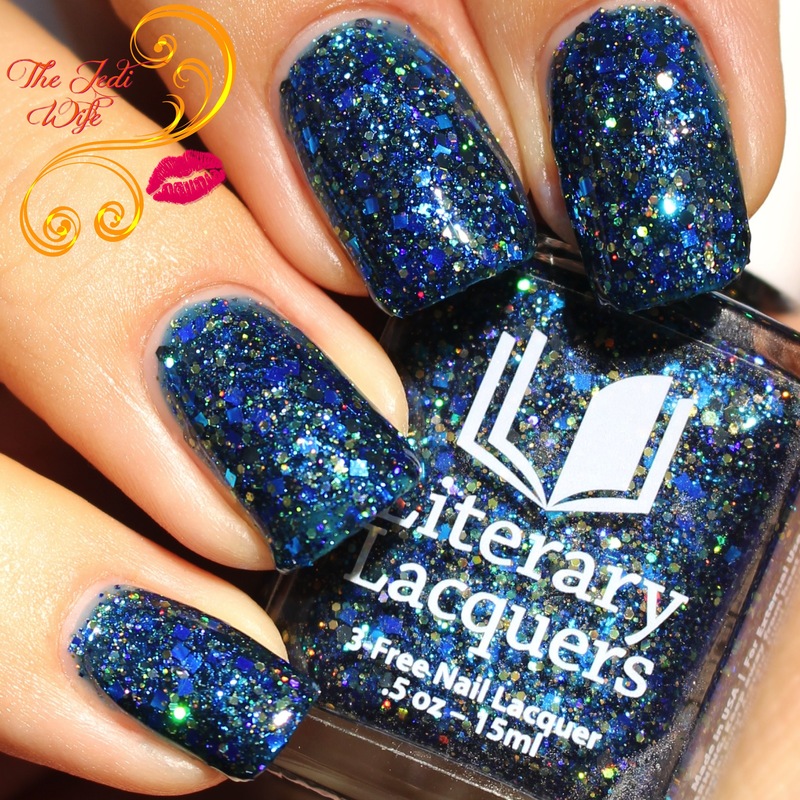 You have such a great collection of Literary Lacquers! 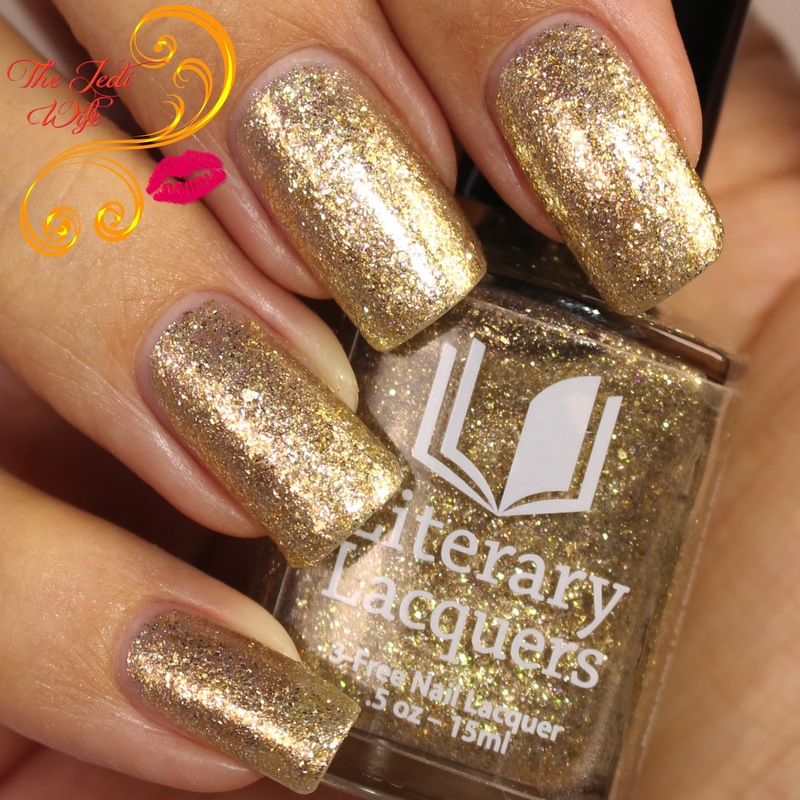 Amortentia is calling my name - neutral holos are so pretty! These are all so pretty - I love Felix Felicis! I'm so happy that some older LitLaqs are getting some love. I might have to grab the new Midsummer Night's Dream. Amortentia is my jam, my goodness! I need it! Amortentia is beautiful and everyday-wear-able! So pretty! Amortentia has my name written all over it! Amortentia is such a lovely shade - anyone who loves coppery metallics should grab it! Amortentia is such a pretty copper! I'm not usually huge on metallics, but I'm really drawn to that one. Midsummer looks like Van Gough's Starry Night in a blender. I love it!